You can get a Morgan with four wheels and you can get a Morgan with three. Now you can get one with just two – and no engine more than your own legs. 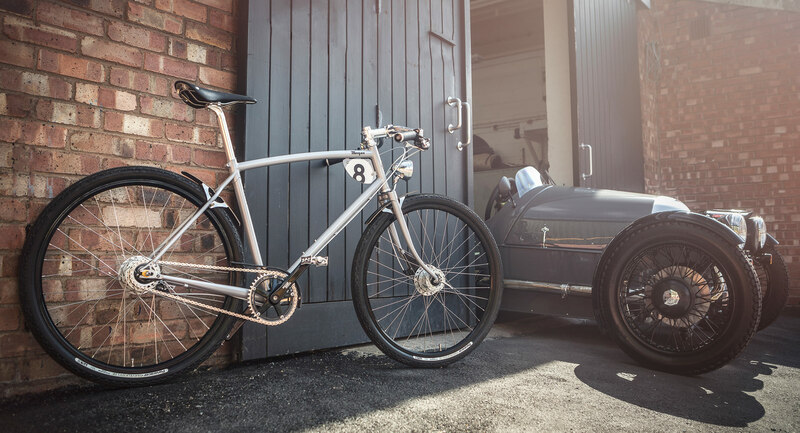 The oldest of British automakers has teamed up with the oldest of British bicycle manufacturers to launch a new range of bicycles. And true to Morgan’s ethos, they’re all hand-built – and rather expensive, too. Unveiled this weekend, the classically styled bicycles will both be hand-built at Pashley’s factory in Stratford-upon-Avon – the quaint birthplace of William Shakespeare and home of the theater (and theater company) that bear his name. The Pashley-Morgan 3 comes in British Racing Green with honey-leather grips, aluminum trim, a Brooks B17 saddle with walnut-veneer mud-guards and chain-guard crafted at Morgan’s Malvern Link factory, an hour’s drive west from Stratford. It features a SturmeyArcher three-speed hub and dynamo front hub,, with a domed headlight – all yours for £1,495, or about $1,900 at current exchange rates. Step up to the Pashley-Morgan 8 and you’ll be looking at $1,595 (a little over $2k). It comes in light pearl grey with black leather grips, black-ash leather mud- and chain-guards. And it features an eight-speed Shimano Nexus gearset with a Brooks C15 vulcanized-rubber saddle with organic cotton upholstery. Next Next post: Can Tesla Model S P100D Win Over McLaren 720S On A Drag Strip?